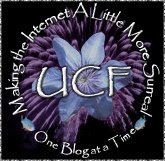 Polybloggimous: I'm Purple For Pentium! Shawn asked for this. It's his fault. I assure you its temporary. My eyes hurt! Maybe you could try a slightly lighter shade of purple? My eyes! My eyes! Aaaarrrrgggg! Purple for Pentium day! Yay! Um, Shawn just has his pruple in 2 strips down the side. Your site looks like someone trying to visualize a bad acid trip. I thought you were in NY, not San Fran. Thanks a lot, Shawn and Nathan. I now have purple splotches in my vision. But Shawn, I still have no idea what you're talking about. I know it's a joke, but I'm too stupid to get it. And once you explain it...I'll still be stupid. "Rain" does not rhyme with "again"! It sounds like I'm really glad I missed the purple! nathan - well, I remember older folks who put cakes and pies on the windowsill to cool. So that part makes some sense. But WTF, did they eat the recipe? Like a striped pair of pants. And that song was popular! I missed the purple too, but when I was playing with blogger templates looking at your image issue, I *saw* it. It was bad. It was begging for a preteen girl to adopt it and upload many pictures of horses & Hannah Montana. No Reason! No Commentary! I Just Like It! Where Do Memes Go To Die? Six Unimportant Things About Me. Contemplating The Ultimate In Hijackey Goodness. Sophie From Shinola - An Ending? Confused? You're not the only one. Portion Control For Two: Mission Unpossible. Sophie from Shinola Meets The Bard. Holy See And Be Seen! Hey, It's National Lookalike Day! Saqib Comes Through Big Time. Because You Were All Friggin' Dying To Know! The Good Times Roll On Bulgarian Idol. You Can't Judge A Cover By Its Book. Another Brilliant Idea Comes To Naught. In Which Nathan Discovers He Can Change His Mind. 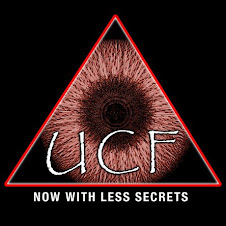 UCF Membership Is Now Officially Closed! The New York Yankees: Harbinger's of Ruin.